24 available 24 items in stock. Have a project that needs some good power? Do you like free power provided by our friend, Mr. Sun? Check out this high quality, high output, fully enclosed solar panel with a nice solid aluminum/plastic frame. 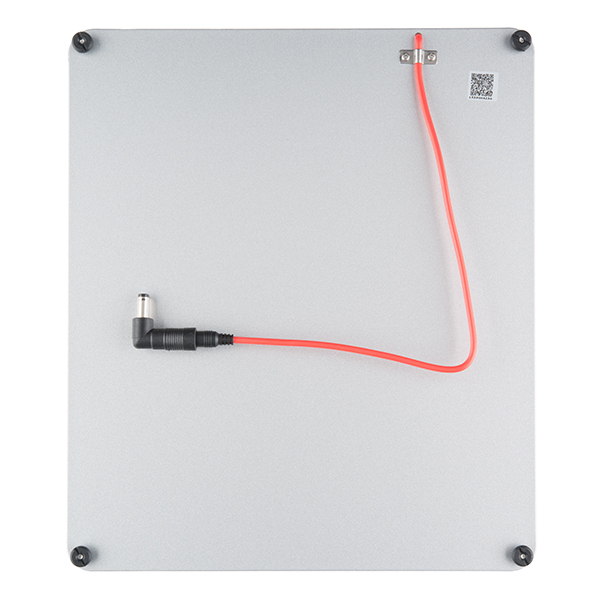 The panel is capable of 9 watts in the open sun with a peak power output around 6V at 1500mA. How to hookup the Sunny Buddy: a solar-powered, MPPT (peak-power tracking), LiPo battery charger. 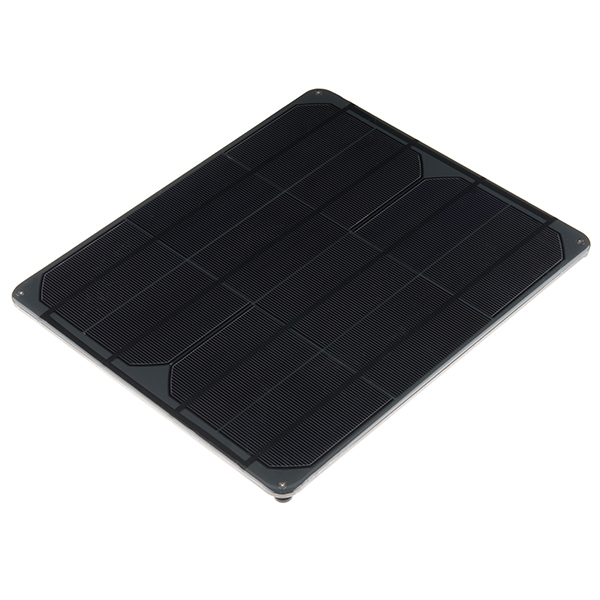 "The panel is capable of 9 watts in the open sun with a peak power output around 6V at 1500mA." Solar panels are rated for output based upon standard test conditions (STC) of 1000 W/m^2 solar irradiance @ 25 degress celsius. Solar irradiance varies dramatically both seasonally and geographically. For a fixed plate solar panel at an angle from horizontal equal to latitude (ideal for mounting a fixed, non-tracking, non-collecting panel), you can look at the NREL website to get average solar irradiance for your area (http://www.nrel.gov/gis/solar.html). If your area, eg Colorado in August, gets about 6 kWh/m^s/day, you should get an average of 54 (6 * 9) Wh/day with a 9 W panel. If your area, eg Colorado in January, gets about 3.5 kWh/m^s/day, then you should get an average of 31.5 (3.5 * 9) Wh/day with a 9 W panel. If you are direct powering, all you need to do is calculate the minimum solar irradiance in you area and pick an appropriately sized solar panel. If you are charging a battery, be sure to factor in power loss due to charging. In this case, Lithium-ion battery would be ideal because of their charging efficiency. Assuming it is made by Voltaic Systems, then it is 360g (12.75oz) according to their website. Looks like a solar panel made by Voltaic Systems. 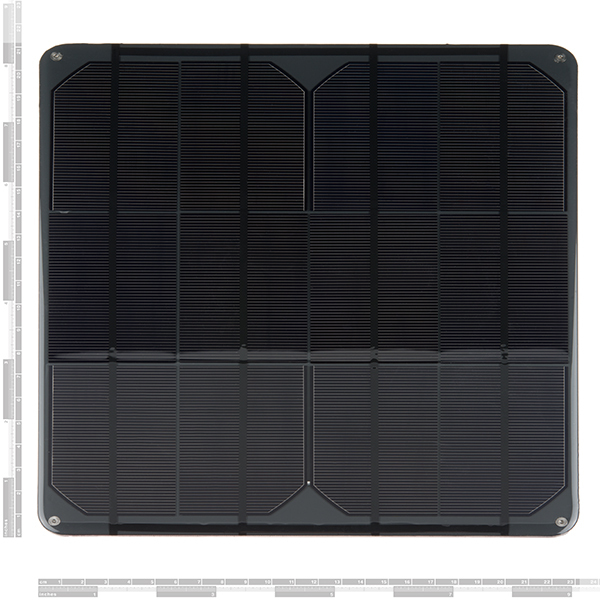 I have two of the 9W panels from Voltaic Systems and they work well. Should be located outdoors to meet the listed power specifications. Works as intended, but it's so large that it arrived warped (probably thanks to rough handling in shipping). Works fine otherwise, but something to keep in mind.